Isles of Desolation are islands of volcanic origin in the Felaya Bay. 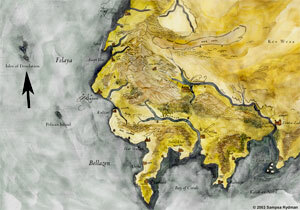 The territory consists of the actual Desolation Island, as well as Marred Island and Tol Dagorath. They were discovered on Nórui 1, 2802 SA. by the Númenórean navigator Urshuzôr of the Guild of Venturers. Númenóreans found them uninhabited, and over time built a shrine and some houses, although no permanent settlement was ever founded. Their first long-term resident was one Gimilbêl - a mutilated Númenórean prisoner who escaped from a ship. 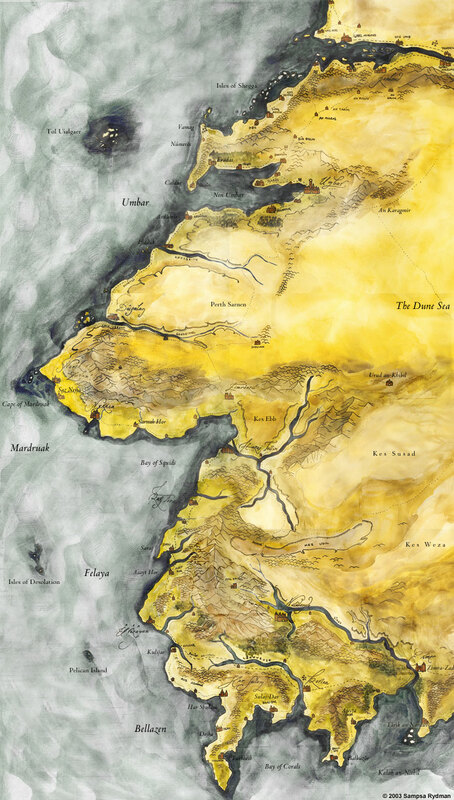 From about III 500, existence of the isands was generally known by captains from Felaya, Mardruak and Bellazen. They were used for collecting food and as a rendezvous point. Some of these captains turned into piracy and waited near the island, hoping that richly-loaded enemy vessels would shipwreck at the treacherous shoals during low tide. Kingdom of Bellakar claimed the territory but never settled them - it was turned into an open-air detention area. Myriad of rebels, pretenders and nobles were marooned on the main island, living true to its name. Last known residents were Arzâgar II (1620-1634), deposed king of Mardruak (North Bellakar), with his wife Serindë and daughter Miranda, and lord Morëinion Eldalótë-Orchaldor (1660-1663). Today, rum smugglers and slave traders frequent the isles, seeking fresh water. Desolation Island has a rugged, volcanic terrain. There are several rocks and islets off the coast, including Castle Rock, The Needle, Lower Black Rock, Upper Black Rock, Bird Island, Egg Island and Lady's Chair, all of which are within few cable lengths of the shore. The shoals are notoriously dangerous, as most of them are covered by tidal waters. 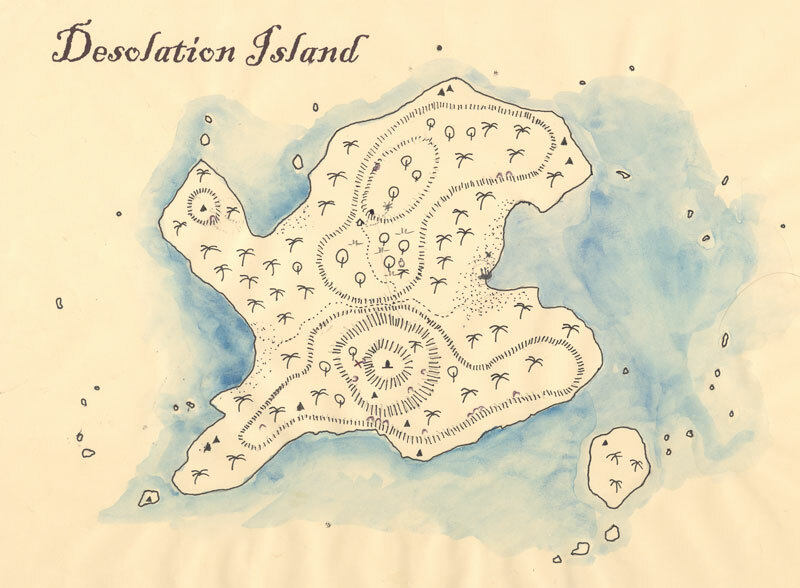 The center of Desolation Island is covered by thick tropical forest full of birds, lizards, snakes and sloths. Marred Island includes the main island and several uninhabited tiny satellite islands and rocks. The main island has an area of approximately 35 square miles and is formed by volcanic peak. Most of the island is a moonscape of rugged black lava flows and red wind-whipped cinder cones. Where lava has penetrated to the ocean a striking seashore is dotted with white sand. Tol Dagorath includes the main Tol Dagorath Island and several other uninhabited islands: Gough Island, Inaccessible Land, and the three Nightingale Islands. The islands are all mountainous and volcanic.